Surfy Club’s of international and local instructors will give you the special attention necessary in a private surf lesson. Our instructors will teach you the fundamentals which guide you through the tough process of learning how to surf. 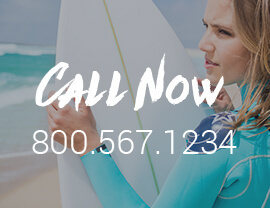 No matter your skill level, you will learn the basics of board handling, positioning, paddling, various techniques on getting to your feet, surfing etiquette, ocean knowledge, and water safety. Even though group lessons are great fun, some people prefer learning on their own. We completely understand, which is why we want to make it as convenient as possible for them to choose the time from our timetable that suits them best (subject to availability). Some people are just shy when trying to learn something new, which is another reason why they go for private rather than group surf lessons. It gives them the opportunity to ask all the questions they might otherwise be too embarrassed to ask. 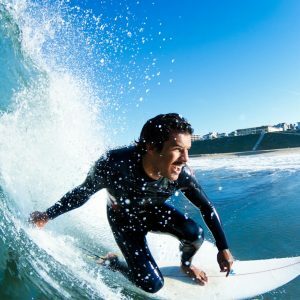 Training – in our 30 minute land portion of the lesson, you will learn and practice a variety of different pop up techniques that you will need to know before heading out into the ocean to catch your waves. Wave Riding – now that you have learned the basics of safety and pop ups, it’s time to put your new skills to the test! Spend the rest of the time in the ocean surfing with your instructor. Safety – water safety and ocean awareness, basic ocean safety paddling and positioning on the board. Surfy is a licensed business & permitted surf school and camp. Due to high volume, we encourage you to book your lessons online right now to warranty your lesson. With over 10 years of surf, we have a huge experience in this cool sport. We offer high quality over quantity surf and stand up paddleboarding lessons. Stay with us.